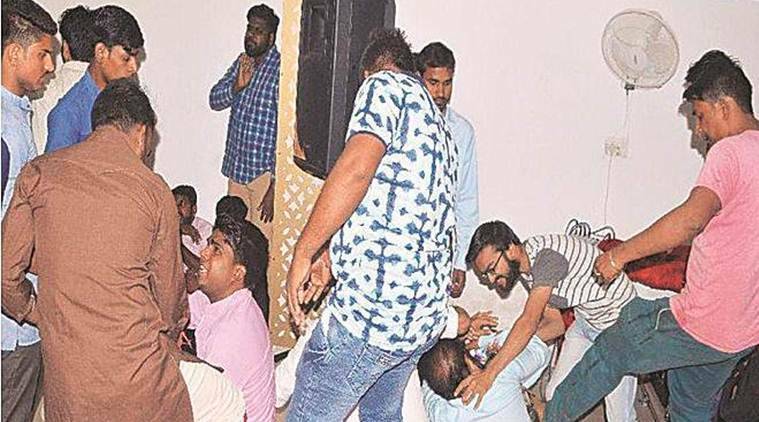 Agra, November 5, 2018: Seven victims were attacked by members of Hindu group Bajrang Dal, the youth arm of hardline activists Vishva Hindu Parishad, according to Christianity watchdog International Christian Concern (ICC). The vicious attack took place in Agra, an Indian city in the northern state of Uttar Pradesh, on October 30. The Christians, five men and two women, were leading a prayer meeting at a local hotel. According to one of them, the Christians gathered had just finished a music programme when the violence broke down. The seven were severely beaten, before been handed over to the police by their attackers, in a twisted turn of the events. The thugs justified their assault by claiming the Christians gathered were trying to forcefully convert Hindus. They added the victims were also using derogatory language against Hinduism. False accusations of forced conversion and blasphemy are often used to justify attacks on Christians in India, ICC explained. Despite being the third most followed religion in India, according to the census of 2011, Christianity followers are often subjected to violence and persecution. Uttar Pradesh is among the most notorious Indian states for persecution. Being the focal point for large Hindu festivals and the destination of many Hindu pilgrims, Hinduism is particularly strong in this state – with Christianity often perceived as an anti-nationalist movement. Between March and June 2017, 17 episodes of verbal or physical aggression against Christians were recorded, including an attack on a pastor and the arrest of followers accused of conversion activities, as reported by Global Christian News. ICC noted an increased crackdown on Christianity since the current government, led by right-wing and Hindu nationalist Bharatiya Janata Party (BJP), took power in 2014. – Just in October, Mathai Varghese, a 57-year-old priest was arrested by police after being abducted and beaten by Hindu radicals. “Despite being the clear victim of an assault, the police arrested Pastor Varghese along with his assailants.